If you’ve played around with the Tunisian Simple Stitch and are ready to make something fun with it, the Tunisian Pebbles Dishcloth (or washcloth!) is the answer! It takes simple variegated kitchen cotton and makes it amazing. Do you see the way the little red and yellow “pebbles” pop up on the surface? They’re framed by lines of green, creating a tiny little garden! Get in close and it’s like a whole little world of flowers. This dishcloth makes me so happy! And it’s a cinch to make too. 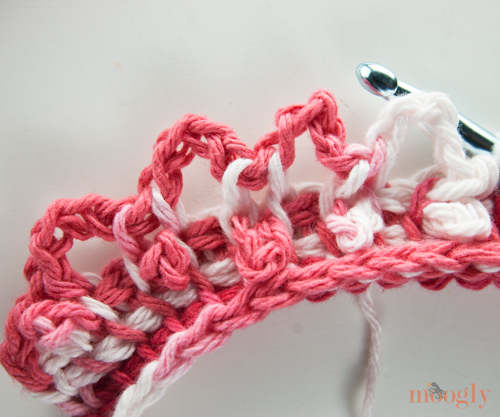 All you need to know are the basics of Tunisian crochet, which you can learn in the tutorial I posted a few days ago. 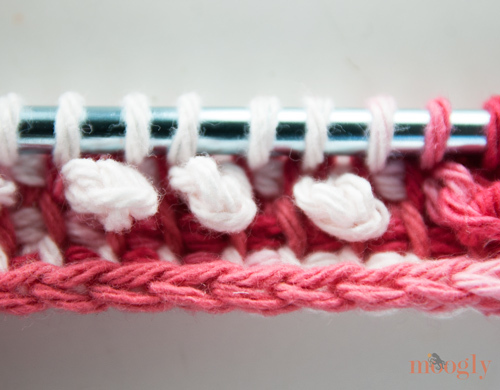 The pebbles are formed using the Tunisian Pebble Stitch, which is a super easy variation of the Tunisian Simple Stitch. Plus you’ll learn a new bind off: the Tunisian Single Crochet Bind Off, which segues perfectly into a sc edging! Size: To change the size of the finished cloth, work in multiples of 2. Row 3: (Forward Pass same as Tunisian Simple Stitch): Insert hook under the second vertical loop from the previous row. Yarn over and pull up a loop. Repeat in each remaining vertical loop to the end. For the last vertical loop you can go under just the one front as before, or under both loops – try both and see which you like better. 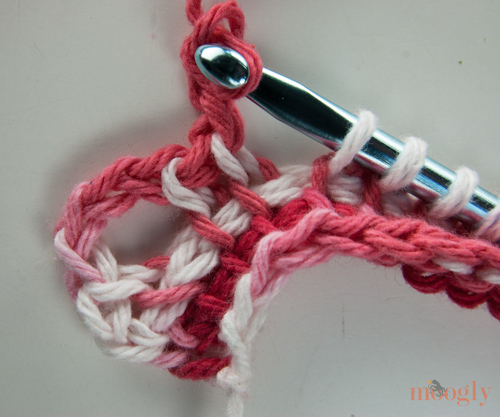 Row 4: (Return Pass – Pebble Stitch): Yo and pull through the first loop. Yarn over and pull through 2 loops. *Ch 3, [yo and pull through 2 loops] twice. Repeat from * to end. 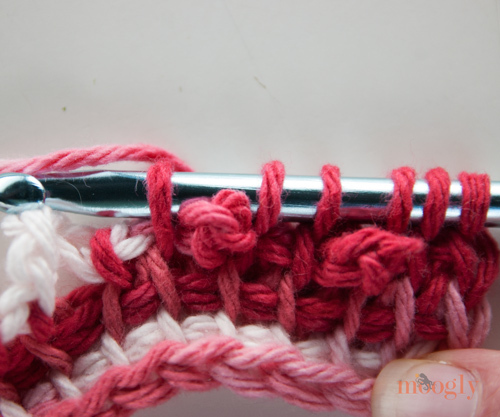 Row 5: Repeat Row 3, making sure to tuck each 3 ch loop beneath the hook as you work so they stick out the front (see below). Insert hook under the second vertical loop from the previous row. Yarn over and pull up a loop, then yo again and pull through both loops (just as for a regular sc st). Repeat in each remaining vertical loop to the end. Using the Bind Off as the first section of the edging, continue to sc down the left side, bottom (chain row), and right side of the cloth, working 3 sts in each corner. Break yarn and use seamless join to finish off. Wet block if desired. And that’s all there is to it! It’s amazing what a few well placed chains and a variegated kitchen cotton can do. 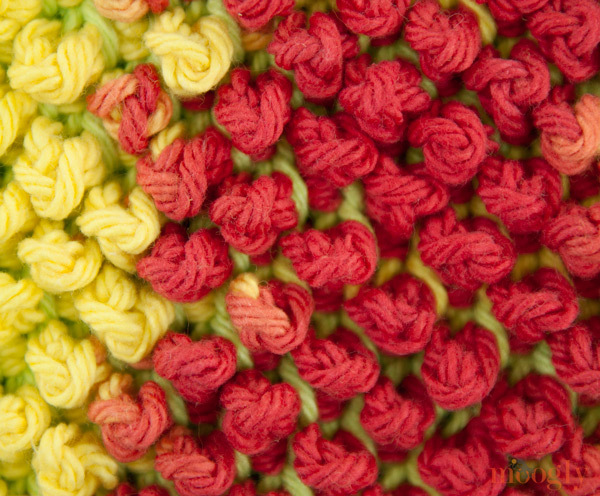 This stitch would make a gorgeous scarf, or you could sew the dishcloths together back to back to make a potholder! 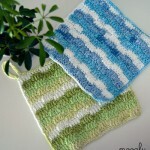 And the Tunisian Pebbles Dishcloth is pretty enough to be a spa cloth as well – no reason to confine it to the kitchen. I hope you enjoyed learning more Tunisian techniques and making the Tunisian Pebbles Dishcloth! Tunisian crochet has been a fun learning experience, and I hope to bring you more of it in the future! Ohhhh! I love that! I’m definitely gonna make this. I don’t have that particular variegated yarn, but I do have lots of cotton yarn, so I’ll try with what I’ve got. I practiced the tunisian simple stitch for a while last night, and I just love it. So fun – and I really like the way it looks. I’m looking forward to more patterns using it! Thank you!!!!! 😀 Thanks so much Penny! It’s a lot of fun to play with! Simply beautiful! The color combination! Can’t wait to start this! I always enjoy, finding new Stitches! 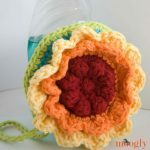 This is a great Project and I will start asap….I love Tunesian Crochet and this is just what I am looking for to make a nice Shoulderbag!!! 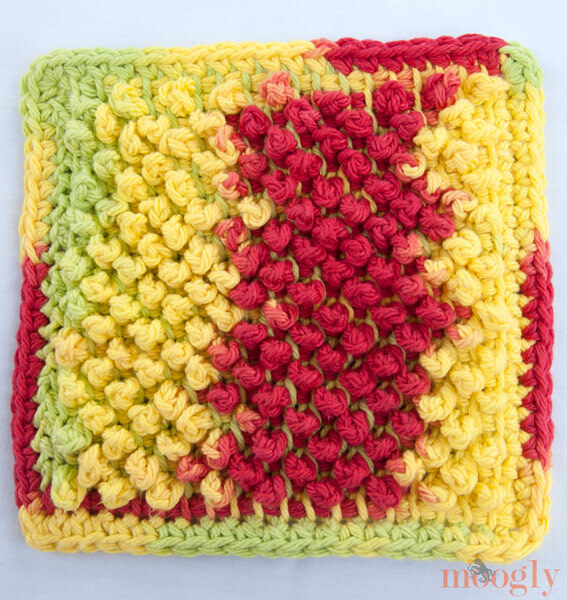 I have tried to download this pattern, I already have the PDF converter on my PC, however it will not pring, have you any suggestions, My friend and I would both like to do this dishcloth. Hi Ida! Look for the green “Print Friendly” button at the bottom of the pattern – that should give you a printable version. I’ve been crocheting since I was 10 years old and I’m 76 now. I’ve never seen such a cleaver variation on this tired old tunisan stitch. Congrats to you for bringing it into this century. I plan on making these for door prizes at our quilt show next year (we just had our show over the 4th of July last week). 😀 Thank you so much Marie! THIS IS SO PRETTY. IT’S LIKE LITTLE FLOWER BUDS. I WILL BE HAPPY TO ADD THIS TO MY COLLECTION OF PATTERNS. THANK YOU FOR SHARING. I tried to make this cloth, but my bumps were all wimpy and saggy and it looked awful. I ripped it out. Do you think I need to use a smaller hook to make my pebbles more pebbly? I love your cloth and want mine to look just like it (only in different colors!) Help!! That could be it! 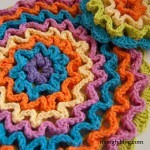 I tend to crochet more tightly with cotton than I do with other yarns, and I know that’s not true for everyone. 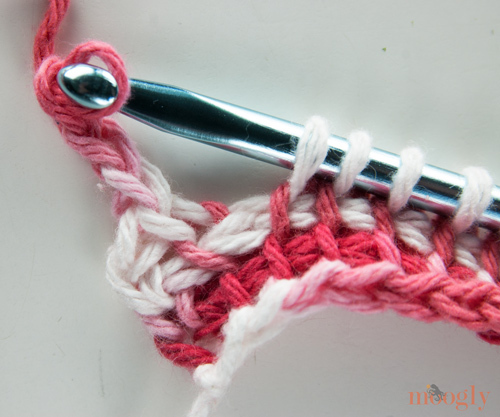 However, since for Tunisian it’s important to use a larger hook overall, try just making the ch 3 sts tighter! Thanks, Tamara. I can’t remember now how snug the rest of the cloth was, but I’ll try using a smaller hook and see what happens. I really like the way your cloth looks, so I’ll keep on trying. 😀 Thanks Sande! I hope that helps! i love this dishcloth. I have made about 5 of your waffle stitch ones now I want to try this but I don’t learn well from written instructions. Do you ever make youtube videos? I have tried 2 or 3 times now and for some reason I’m just not understanding it. The Ch 3, [yo and pull through 2 loops] twice. is confusing me. are you pulling through the loops on the ch 3 or is that the “flower”? I’m afraid I’m with mitzi, I learn better by a videos than pictures. I’m not sure what you mean by “flower.” The ch-3 creates the part that sticks out. The pull through two loops is like a normal return pass. Beautiful! 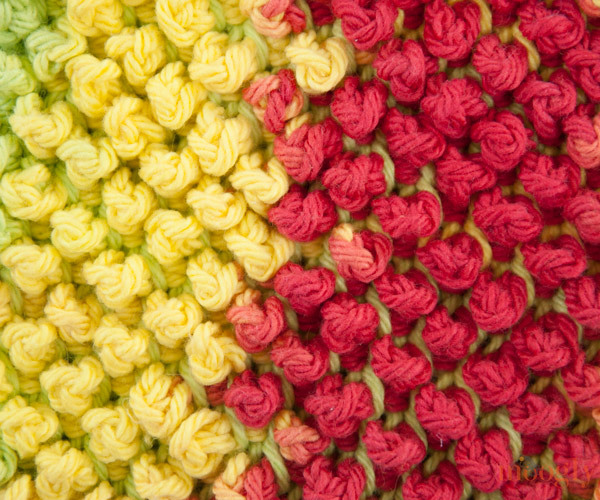 I, too, love Tunisian crochet and will certainly try this stitch. Thank you so much. 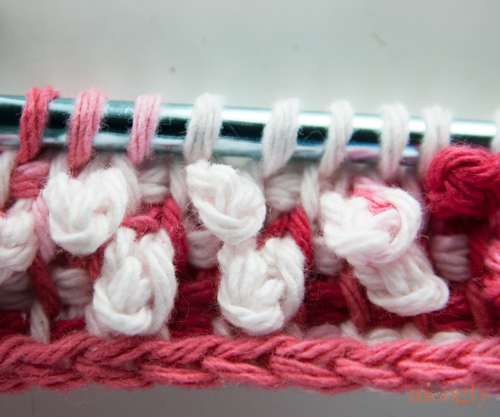 Love the looks of this stitch! I want to try lovey blankeys with it. The texture would be great for little hands and fingers. Thanks so much for sharing! i am a beginner. Still learning & collectingatterns. This pattern is so awesome. Nicely instructed. Thanks. 😀 Thank you so much Neelum!